Frozen. It is like crack cocaine, only animated. And with singing. I saw it with the kids. I noted that the plot didn’t, strictly speaking, make any sense and that the girl ended up with the wrong guy. I thought I’d just carry on with my life. Frozen-free. But that didn’t happen. Because I underestimated how much my girls, but also the rest of my children, but also all the rest of the people on this planet would love the music from this movie. So, when time came to plan Anita’s fifth birthday party, I gave it my best, I really did. But it HAD to be Frozen. So Frozen it was. And I might even be coming around a bit on it. But you’ll have to read to the bottom to find out. Here’s what we did to celebrate Anita’s 5th birthday and her cousin Lucy’s 3rd birthday, in Gramma and Papa’s backyard. ‘Cause that’s how we do. 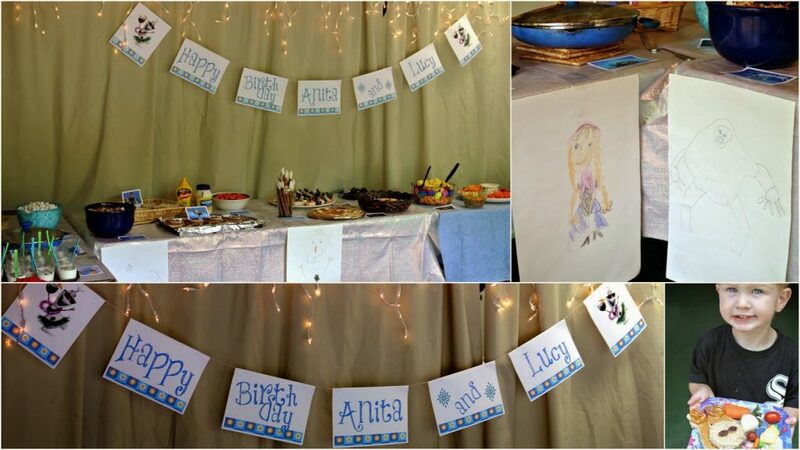 Tables set up in the garage, homemade birthday banner, iridescent tablecloths, kid-made character drawings, icicle lights out of the Christmas decoration box. 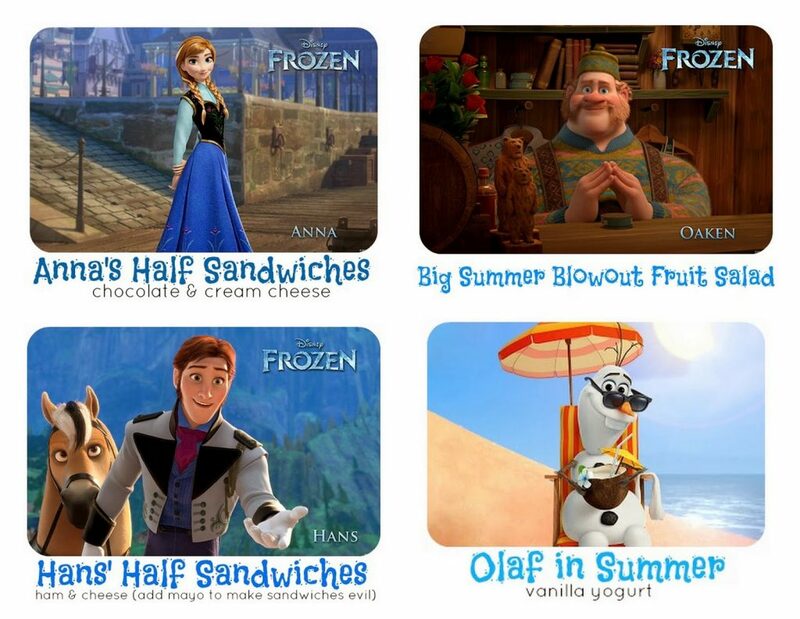 Kristoff and Sven’s Quality Ice Sales Ice Block Pull, inspired by this. We pulled the sleds out, bought six ice blocks from the liquor store, and set up a little course in the back yard. We split the kids into teams of three, with a big kid as team captain of each. Then they had to load up three ice blocks onto their sled and get all three teammates across the line. 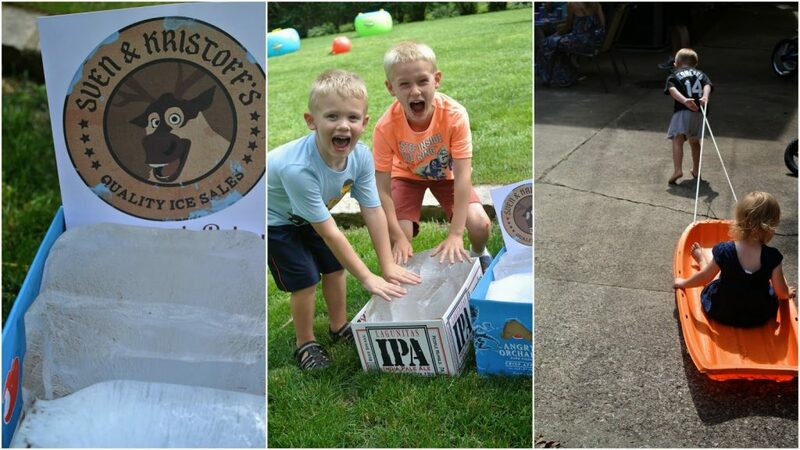 And the ice blocks were a huge hit with the kids for the whole rest of the party. Blah, blah, blah, not fit for human consumption . . .
Pin the Carrot Nose on Olaf, drawn by my talented sister-in-law. We had also planned a Toilet Paper Snowman Wrap Up game, complete with sunglasses and leis, (to be Olaf in SUMMER!) 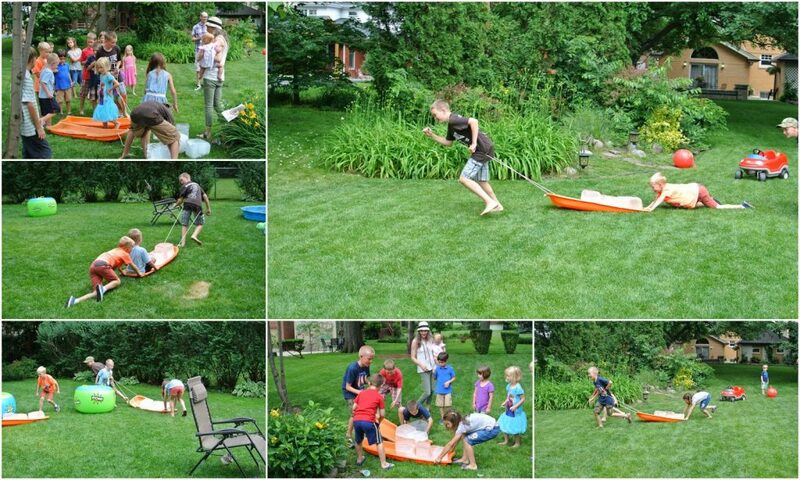 but the kids were having so much fun playing with the ice blocks and the sandbox + baby pool “beach” that Jack set up, that I decided not to drag them back for any more organized games. 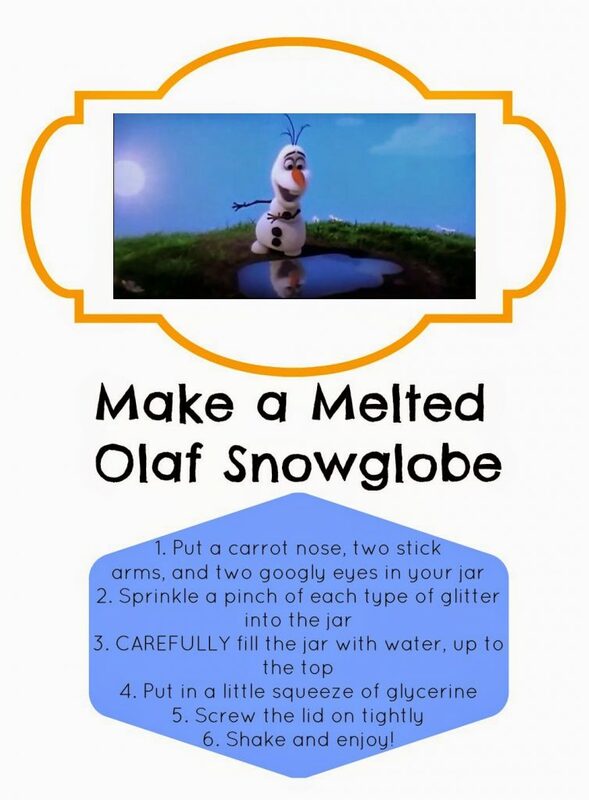 We made Melted Olaf Snowglobes. You can download the instructions and jar label here. I don’t use fondant on my cakes because I don’t think it tastes very good. So, I made my Olaf out of marshmallows. The cake itself was an Ice Cream Sandwich Cake, which I was led to believe was my grandmother’s secret recipe until I googled it just now, and, apparently, it’s a thing. But it’s quick and easy and delicious and super customizeable. And kids who don’t like cake love it. All MY kids like cake, but there are a couple kids at every party who just don’t like cake. I’ve never met a kid who didn’t like Ice Cream Sandwich Cake. We always have a pinata at our parties. After one of the kids pointed out at Jack’s Indiana Jones birthday party, that it was kind of sad that we were hitting Indiana Jones with a stick, we started making our own pinatas. And we make them a bad guy, so we can really enjoy wackin’ ’em. 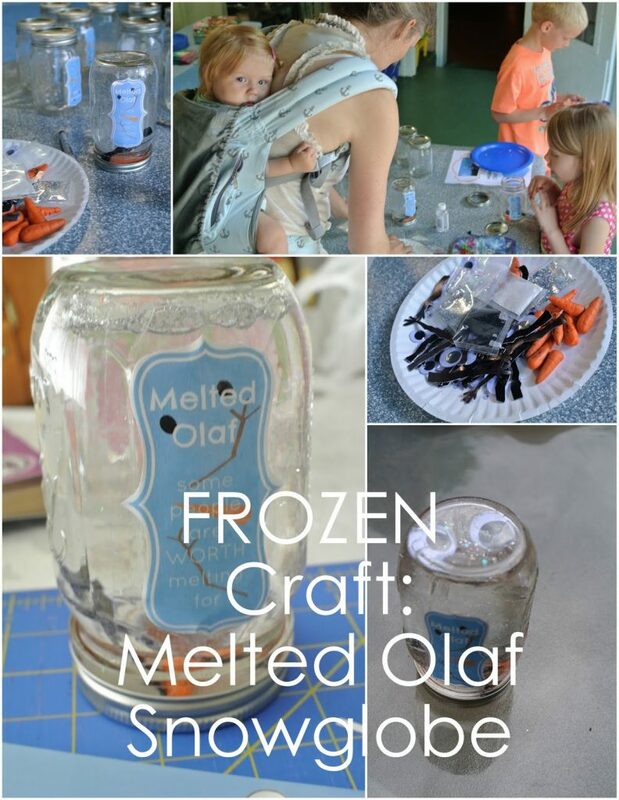 The kids each got a little Do You Wanna Build a Snowman kit to bring home, inspired by this. The whole party was very fun and awfully cute. The weather really cooperated. The forecast was for thunderstorms from 3-6pm, the EXACT time of the party. But they didn’t hit until 6:10, just after the last guests left! Whew. My sister drove six hours from Iowa to bring her girls to the party, so Anita had ALL of her cousins there! Plus lots of great friends. And since it was a Frozen party, I finally broke down and let the kids buy the Frozen soundtrack. It’s been in near constant rotation ever since. I do have to admit that the songs ARE really catchy and clever and well-sung. It comes with a bonus disc of demo songs that didn’t make the final cut of the movie. And, honestly, I can’t figure out if it makes me like the movie a little more or a lot less that apparently, at one point there was a whole “prophesy” storyline that actually explained where the magic came from and who the trolls are and what in the world is happening in the movie. But . . . they cut it. Maybe they’ll put it back in for the Broadway version? And check out the “Cakes and Parties” tab at the top for the scoop on lots more parties. We throw a lot of parties. Great ideas, I especially like your cake. Wow!! 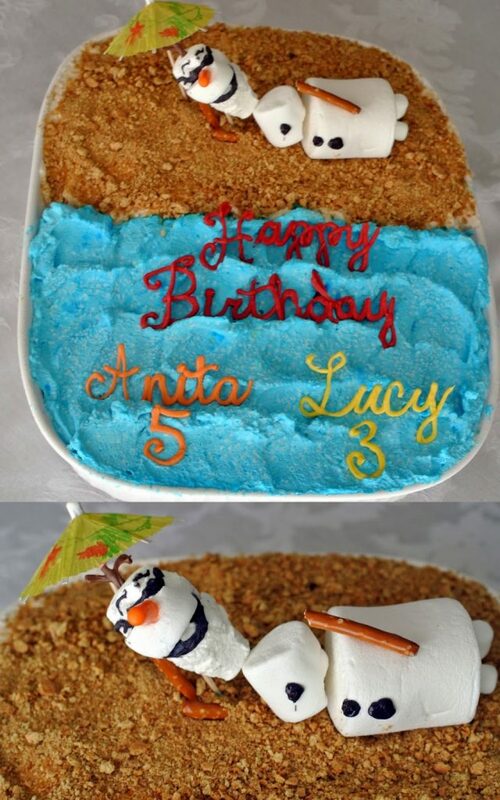 My daughter is asking for a Rubber-ducky/fish-themed fourth birthday party (in August), but if she changes her mind to Frozen, I'm absolutely stealing all of these ideas. Every one of them. I ight do the ice block game either way. This looks so fun! See… I knew I liked you for a reason! 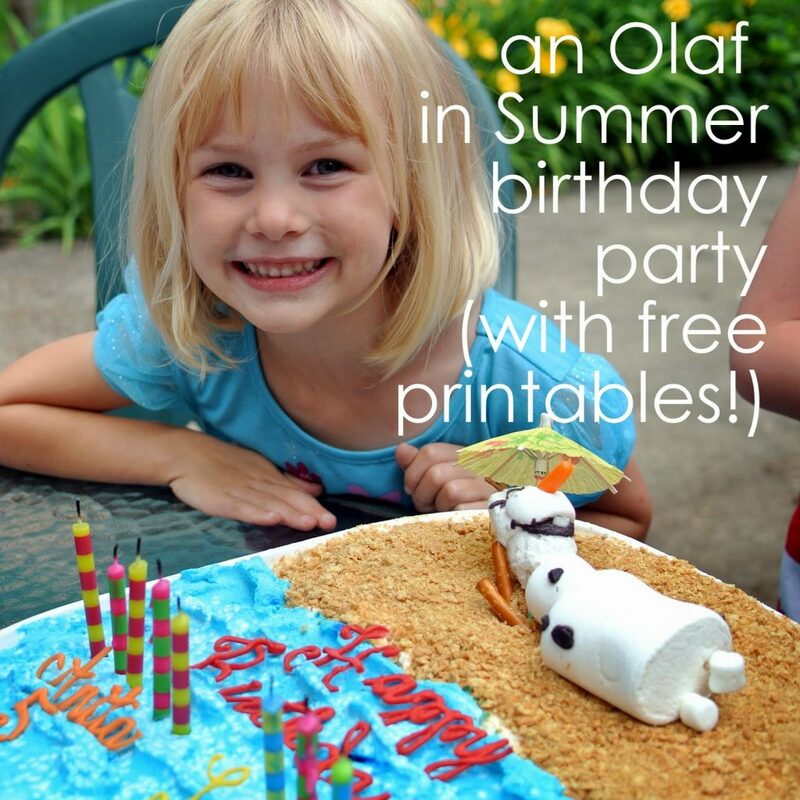 We don't have the backyard or the family close enough by to celebrate with us, but we always have fun coming up with themes and crafts and activities for our birthdays! Everything looks awesome, especially the smiles! You throw the best parties. 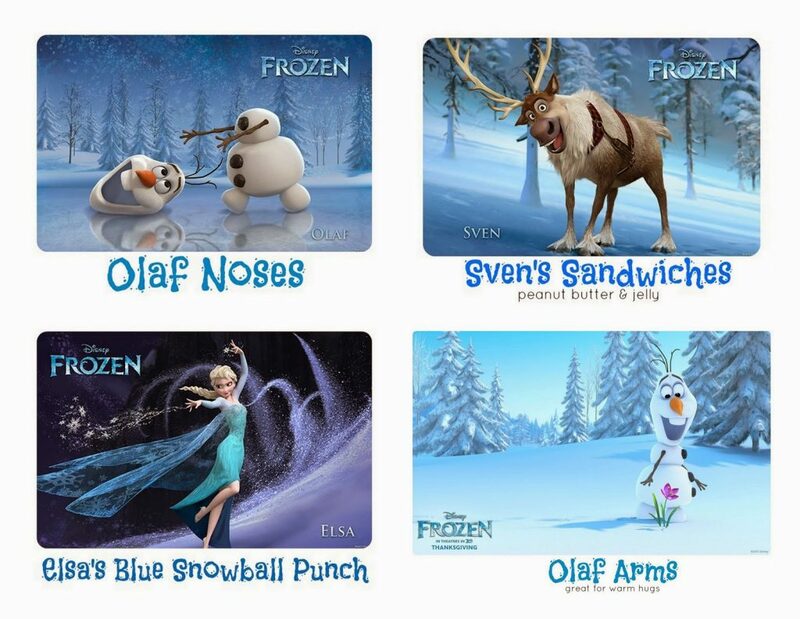 And now I want the Frozen soundtrack just to hear the bonus disc. Oh it all turned out so cute! I'm sorry I missed it. Also, I love making snow globes, they're such a versatile craft! 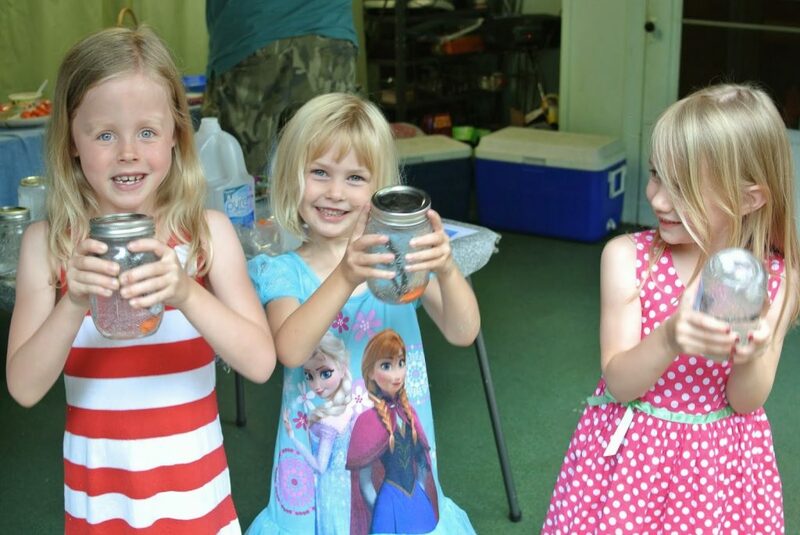 I had my kindergarten campers make "mini oceans" last summer and they loved it. I can't wait to show my nieces this blog entry! They are 9 and 11 and very taken with the movie. A group of them are even practicing to put on their own performance of the movie. Idina Menzel who is the voice of Elsa was also the original Elphaba from the musical Wicked. That's another great soundtrack for singing along and very PG. I tried to make Energon Cubes out of jello for my sons Transformers party, it did not turn out. How does one screw up jello? I am jealous of how awesome your parties always turn out. Mine try, but are just not that caliber. I am not very crafty, but I love for things to be simple and at home.. so. 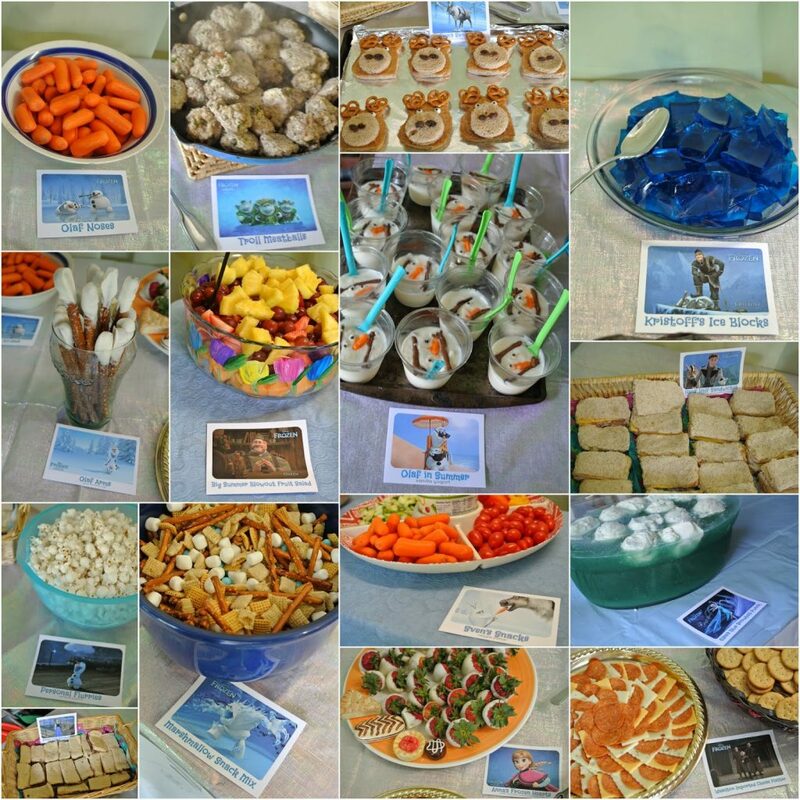 I always miss Anita's birthday party but the great pictures and descriptions make me feel like I was there with Olaf in Summer. 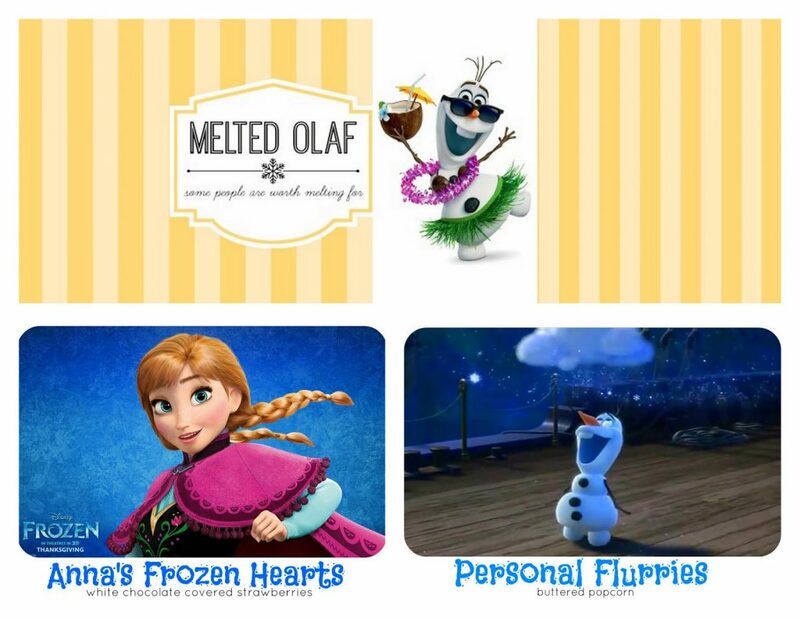 Very clever ideas that I hope sister Kara can take home with her for Skylar's Coronation Day second birthday in July. We will be there for that one. Maybe we should just get ice blocks and let them lick them for a couple of hours…probably not that popular with the moms. So fun to have so many cousins and friends all together. Another backyard super extravaganza put on by the Tierneys!!!!!!! 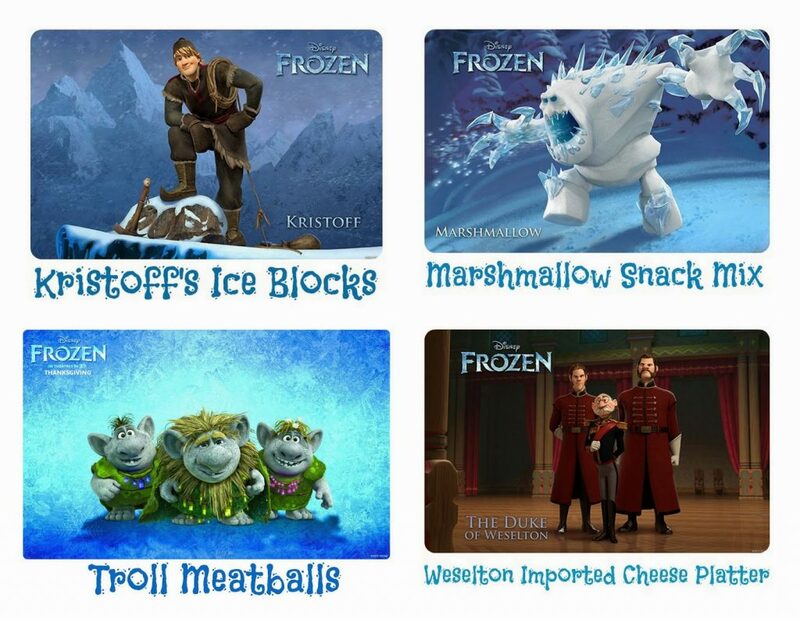 Ice blocks! What a blast! Happy bday, Anita! This is so wonderful. 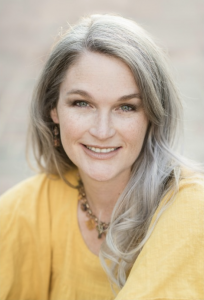 Thank you for sharing the printable and the great ideas. 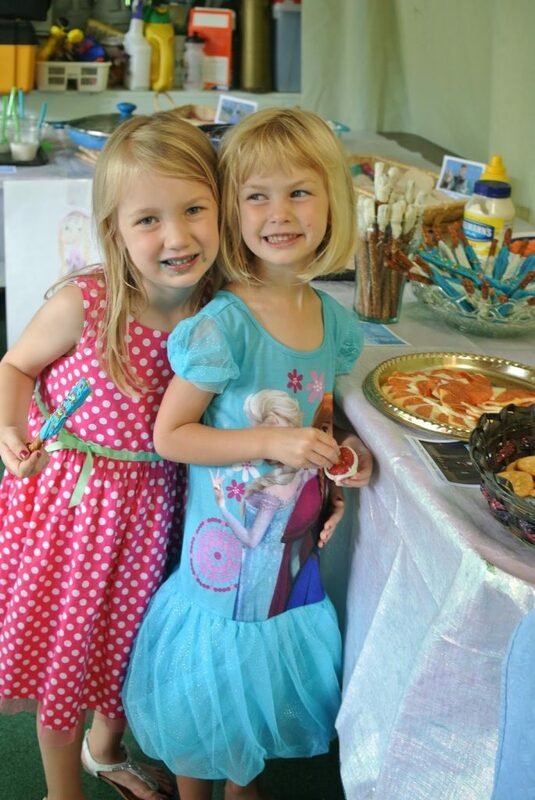 My four year old has been gunning for a Frozen party ever since her niece had one. And, even though her birthday is in November, it will still be hot enough to play with the ice blocks. So fun! I don't remember the name and I'm not at my desktop computer to check, but I made them on picmonkey, it's one of their fonts. It's near the bottom. If you can't find it let me know and I'll find the name.